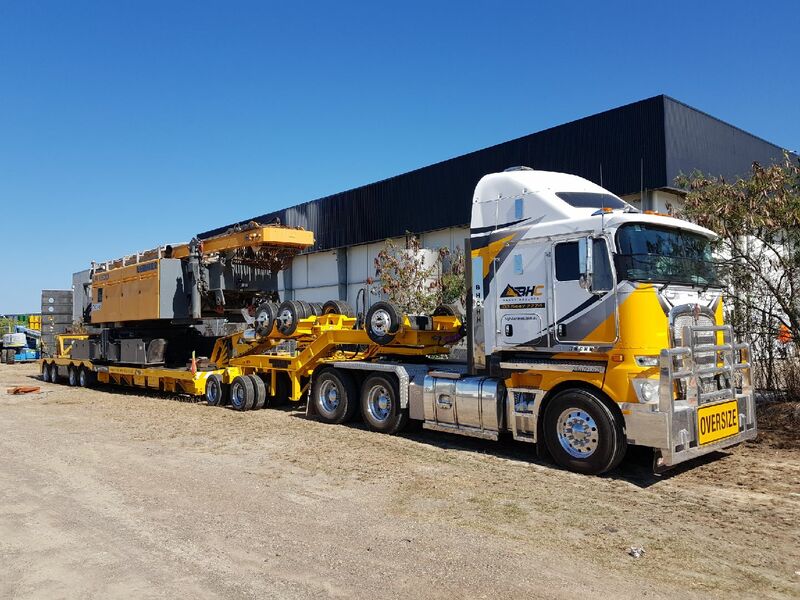 Heavy haulage is one of the valuable services provided by Big Hill Cranes in Bendigo, and we transport equipment throughout Australia. We can transport any large or over-sized items you need moved, 24 hours a day, 7 days a week. 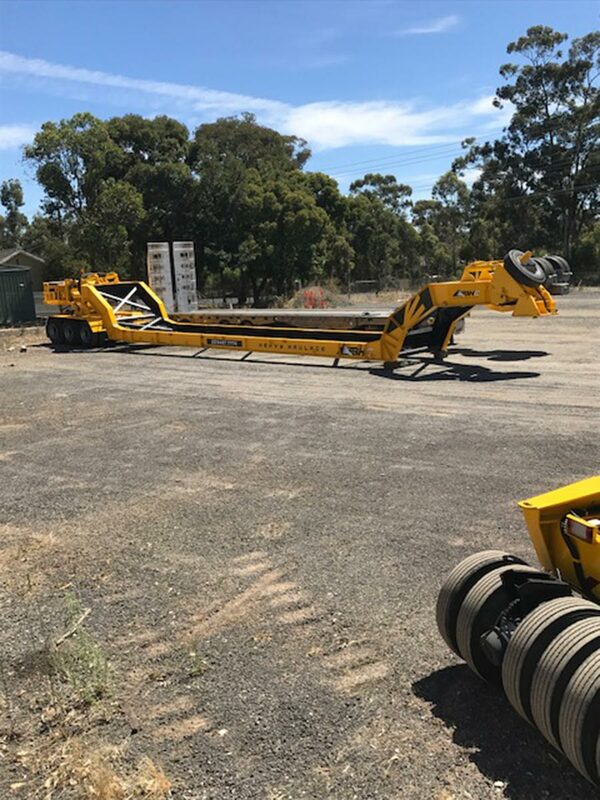 Whether it is old equipment, construction equipment, construction pipes or farming equipment, we can move your goods safely, efficiently and at an affordable price. We have highly skilled and experienced operators that can safely transport your precious property. 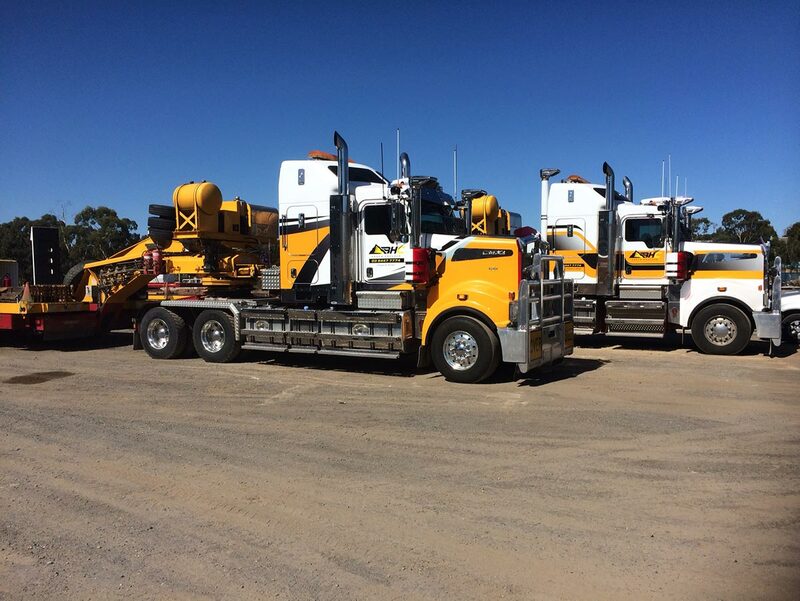 Whatever the job, rest assured we have transport equipment capable of moving it for you. 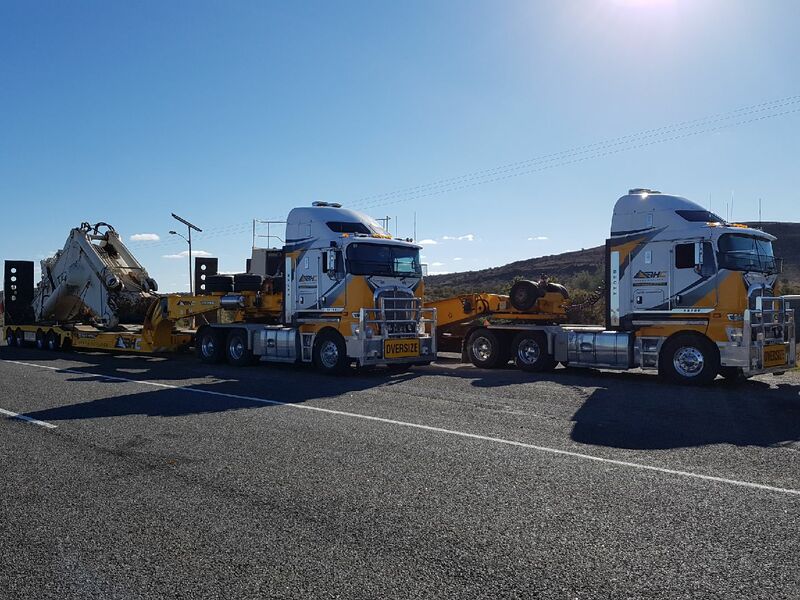 There’s no doubt our heavy haulage service is the right choice for even the biggest loads. 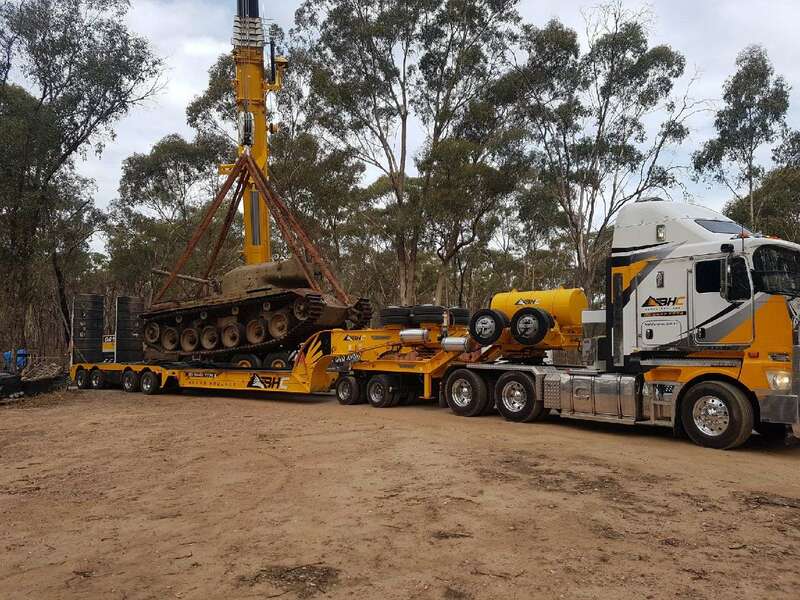 But if you don’t need the big guns from our transport arsenal, then our Bendigo general haulage service would be the ideal option. 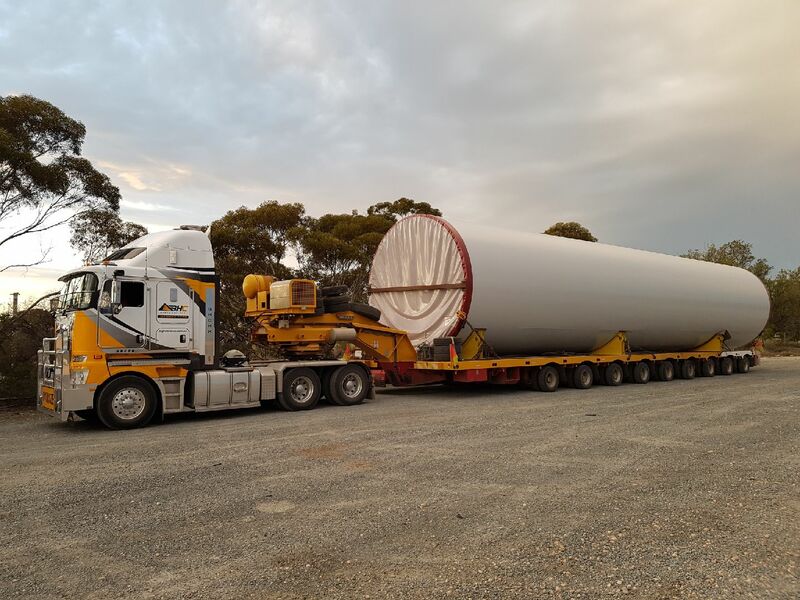 Contact Big Hill Cranes for more information on our heavy haulage transport services in Bendigo, and be comfortable knowing your oversize freight and heavy transport projects will arrive safely at their final destination. We can also supply concrete kibbles and man cages if your job requires extra rigging hire. LR1300 Leibherr crane heading south from Townsville. 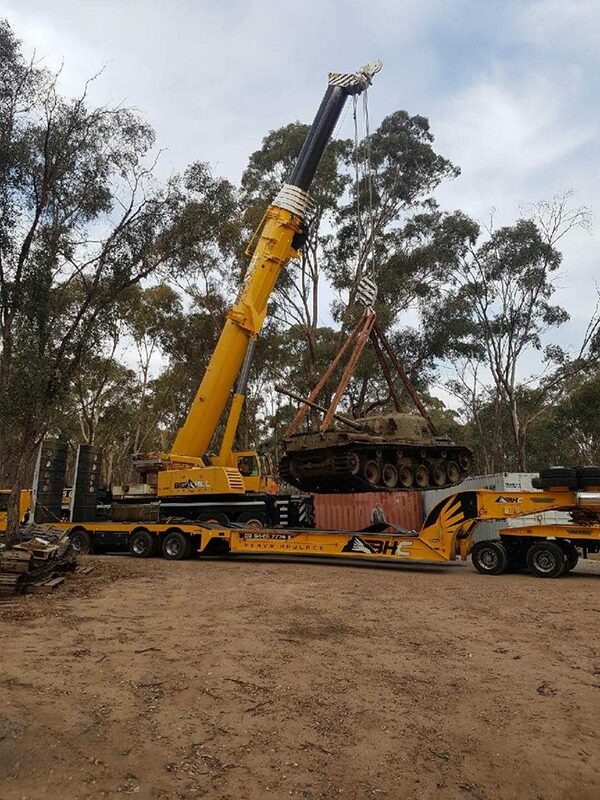 Liebherr LTM 1220 crane lifts army tank onto Kenworth K200 cab, at Anakie. 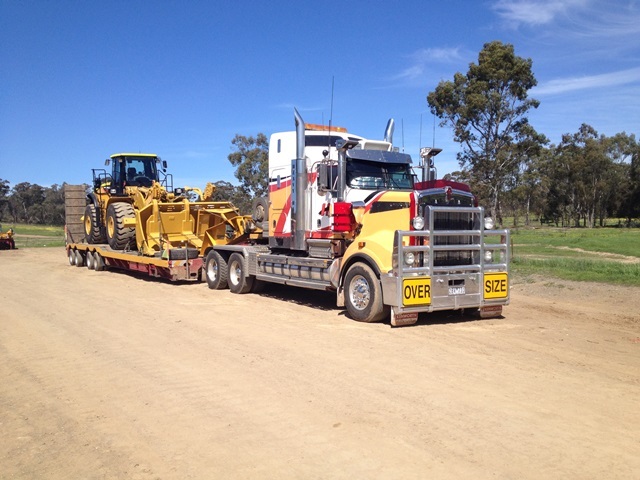 250t rated Kenworth T909s, ready for work. New tank trailer, ready for work. 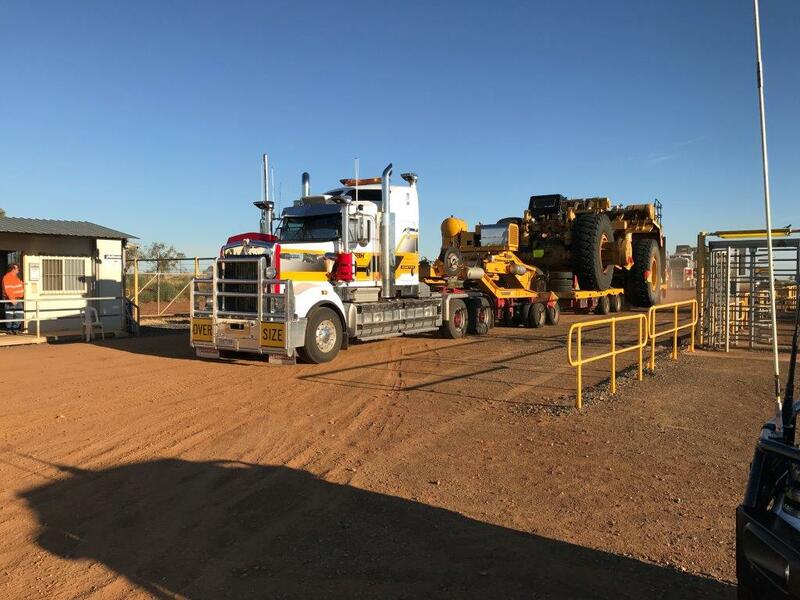 100 tonne dump truck on board, arriving in Cloncurry. 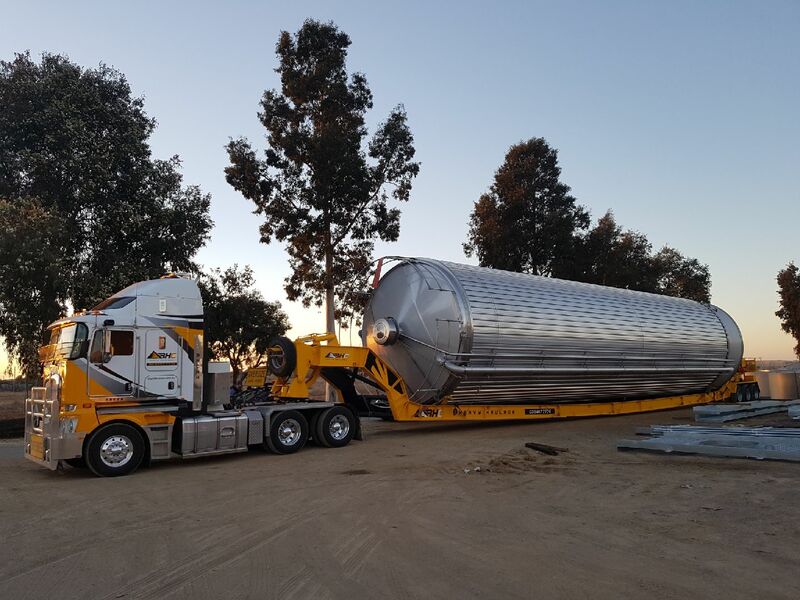 Kenworth K200 cab carries 21x4.8m diameter tank, with our customised tank trailer. 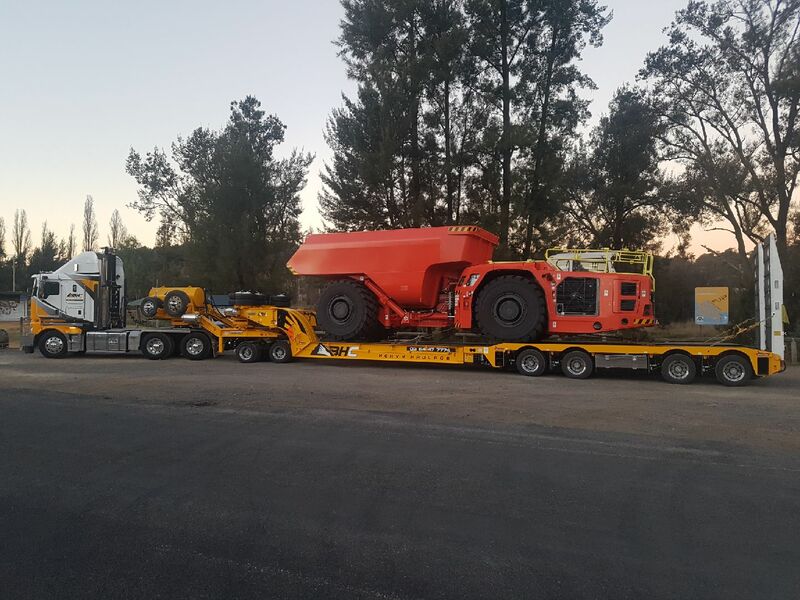 Heading to Perth with a 52 tonne underground dump truck.